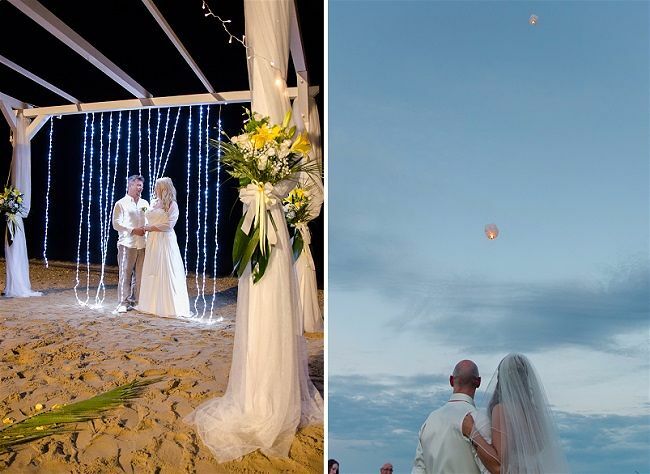 I love realizing couple’s dreams who are looking to have a beach destination wedding. 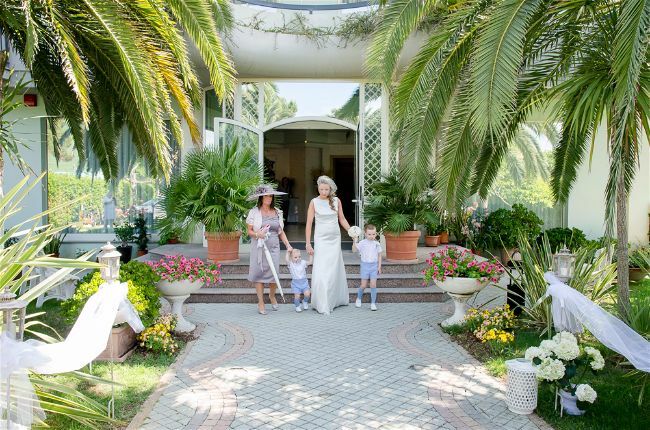 Once couple’s have their weddings here, they become part of our family! 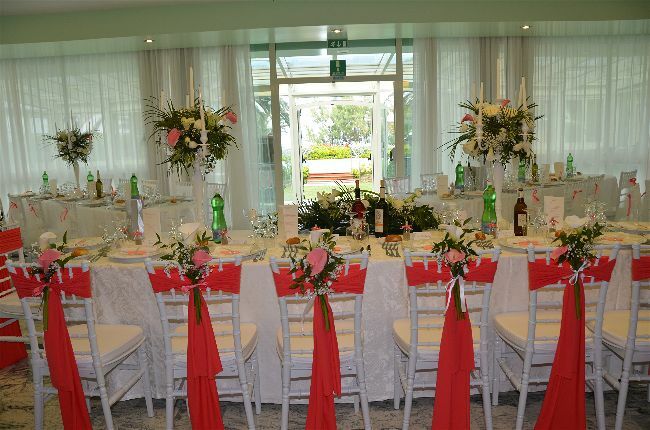 We add some special touches and surprises that bring the Italian culture and traditions as part of the couple’s special day. It feels wonderful when you exceed the expectations of the bride and groom for one of the most important day in their lives. This is why we love our job! 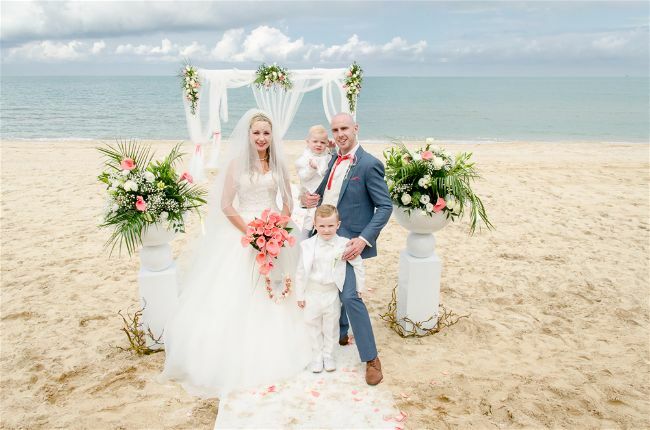 Become part of our family as you celebrate either a civil legal or symbolic beach ceremony on our private beach, enjoy a delicious authentic Italian wedding feast and enjoy your wedding week stay at our family run hotel with your guests. 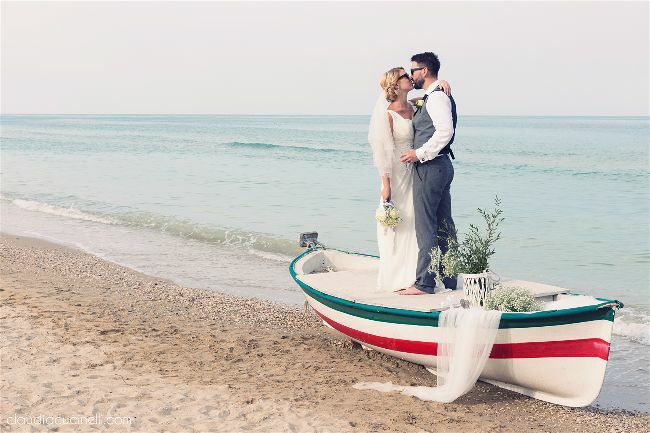 My name is Julie Sanders, originally from Chicago, IL and brought here to Italy by my husband where I found myself assisting in managing the Family’s beach front hotel. 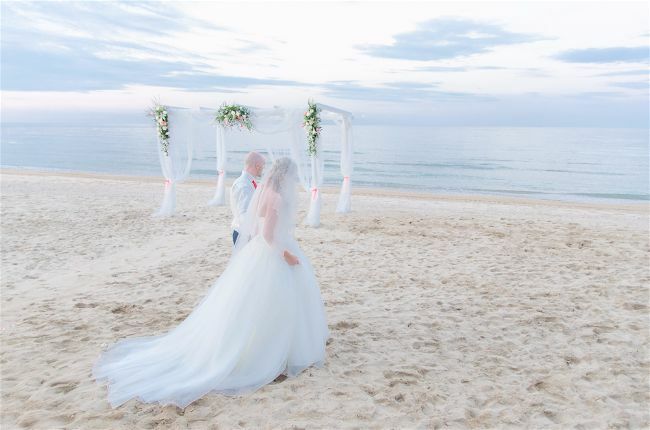 I’ve decided to take advantage of our perfect location to offer couple’s a private beach to host a NOW legal civil ceremony, reception venue and hotel for wedding couples along with their guests during their wedding week. 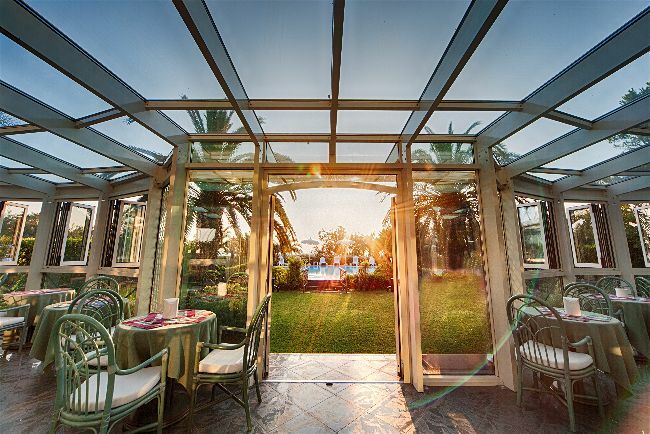 We offer a perfect location from May – June 15th, then from September 10th –October when the weather is perfect. 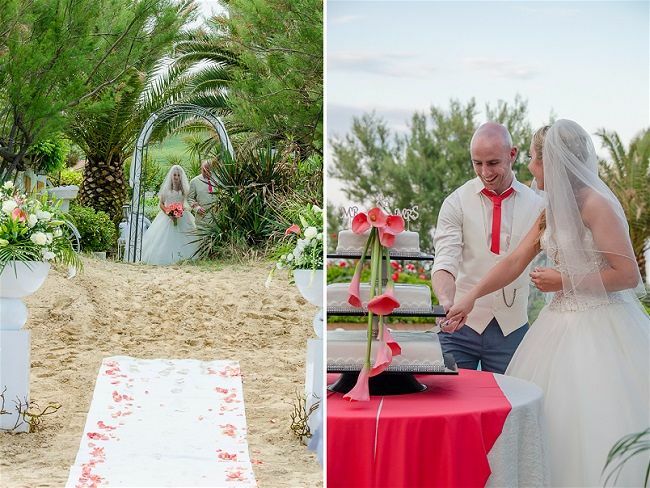 “My husband and I chose Hotel Ambasciatori to host our wedding last month. 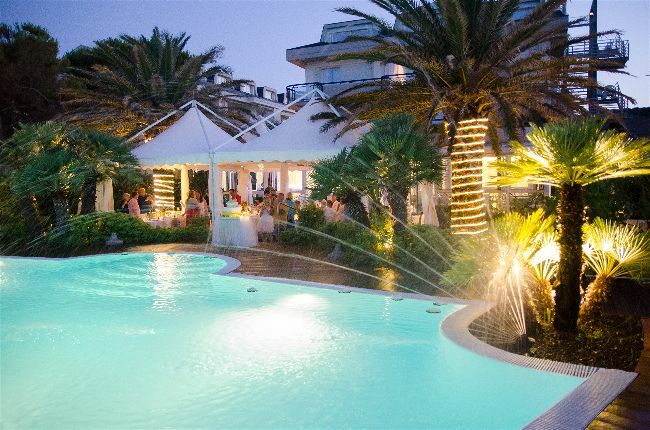 We decided to plan it for September as we heard the hotel was quieter then than mid-summer and headed over with 35 of our family and friends from all over the world for a few days of relaxation before the big day. From the moment we all arrived to the moment we left Julie, her family and their team exceeded our expectations in every way. 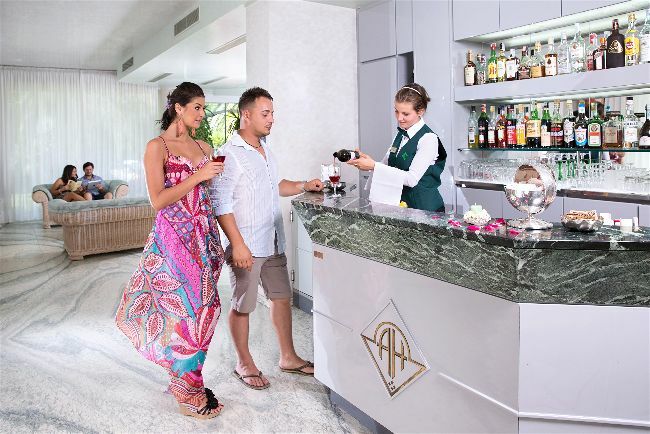 We never knew a hotel could be so friendly, warm and intimate. 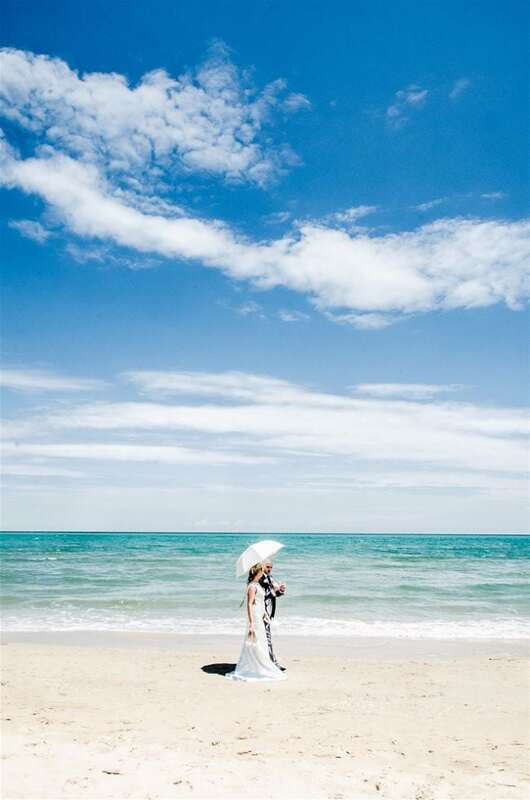 The rooms are clean and comfortable with the most stunning sea views, the food was authentic, delicious and very generous, the location is perfect (its right on the beach but at the end so very private) and the staff are all so lovely and helpful. Everyone agreed the stay was just lovely but it was the wedding day that made it unforgettable. 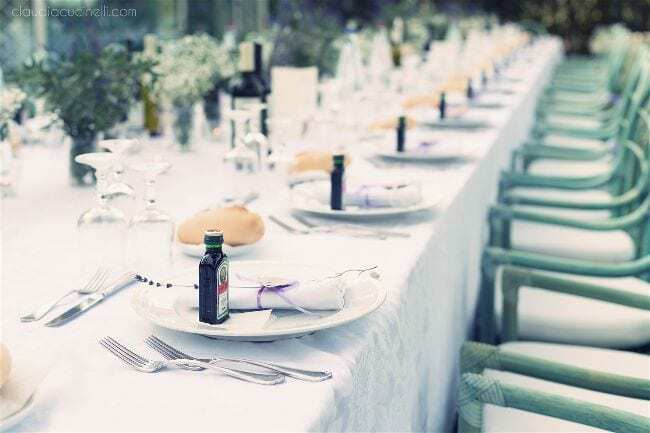 Everything was perfect, even better than we had imagined and that has so much to do with all the hard work Hotel Ambasciatori put in on the day and days leading up to and the wedding. 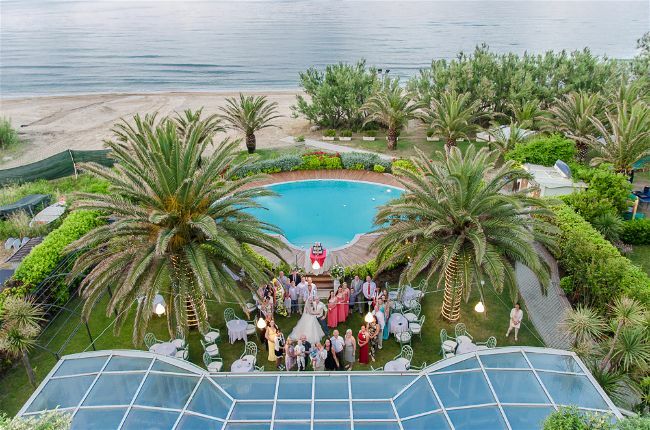 We can’t recommend this hotel enough, whether you are looking for somewhere to relax in the sun or a place to host your beach wedding this hotel should be on the top of your list. 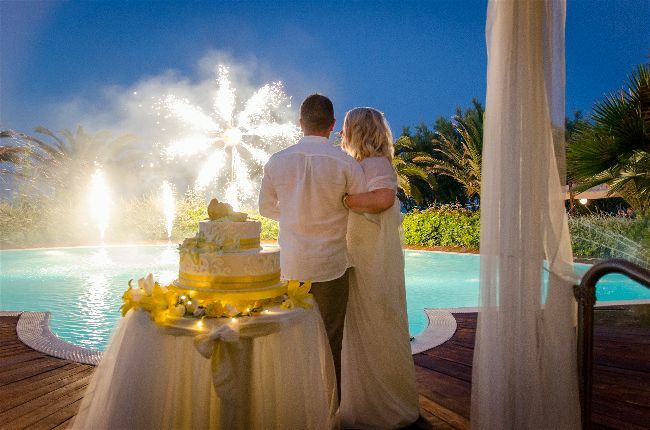 “I was a guest at a wedding held at the Ambasciatori and I have to tell you it was a fabulous weeks stay culminating in a magical wedding. From the very start Julie and her team made all the guests feel incredibly welcome. 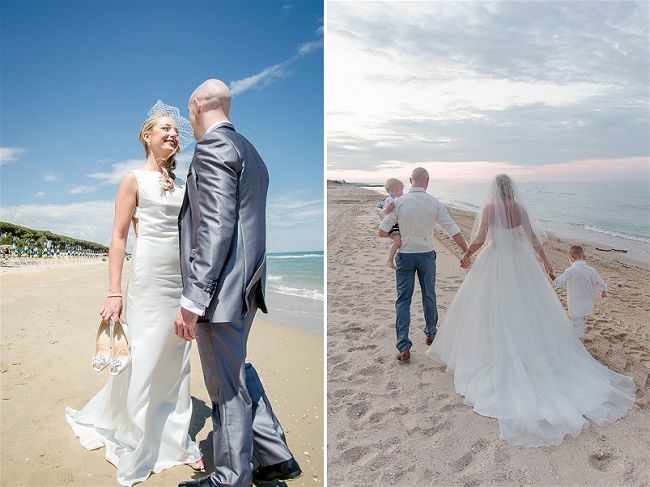 As the best man I was very reliant on Julie’s expertise and local knowledge and not once did she fail to deliver. 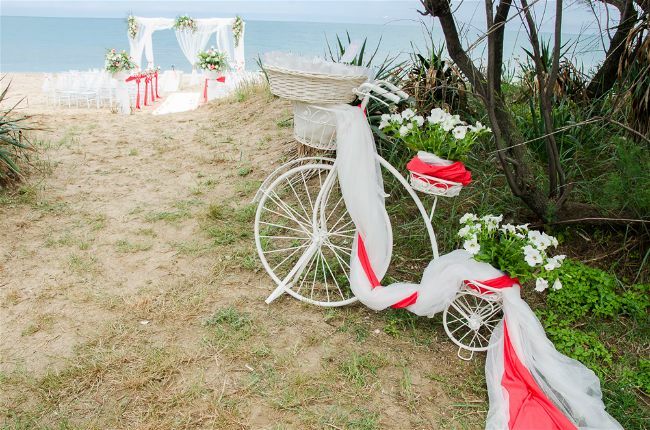 From helping to arrange an impromptu barbecue on the beach, to arranging boat trips or running wedding guests to the local dry cleaners to help them prepare for the big day nothing was to much. The hotel itself is a beautiful paradise. I was fortunate enough to have a sea view room on the top floor and it exceeded my expectations. If you can book ahead I would recommend you request a room with a view. The rooms were bright, airy, clean and very comfortable. The daily food is delicious and plentiful. The wedding banquet was just something else. Each course was better than the next and after five courses when you think you couldn’t possibly eat another thing there was the mille feuille wedding cake which was truly scrumptious and lighter than air. I could go on and on about how wonderful this hotel is. I cannot recommend it enough. 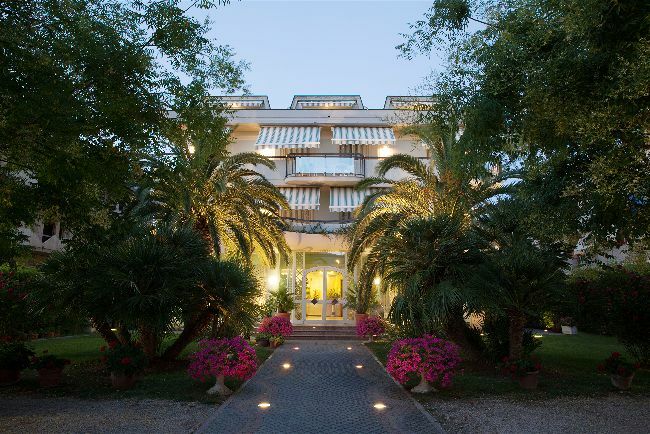 I truly look forward to another visit to Pineto and whilst there I would not dream of staying anywhere else. The region of Abruzzo is off the beaten path , therefore it offers authentic part of Italy that welcomes those that make the decision to explore our world. 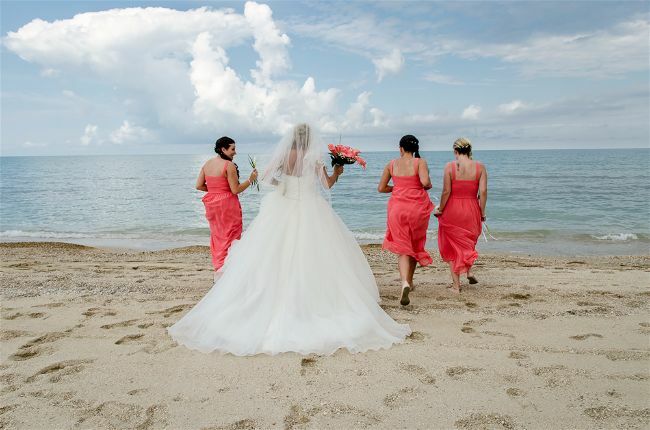 We are proud of what culture, art and history our region offers and prices are much more reasonable compared to locations that are overly requested. 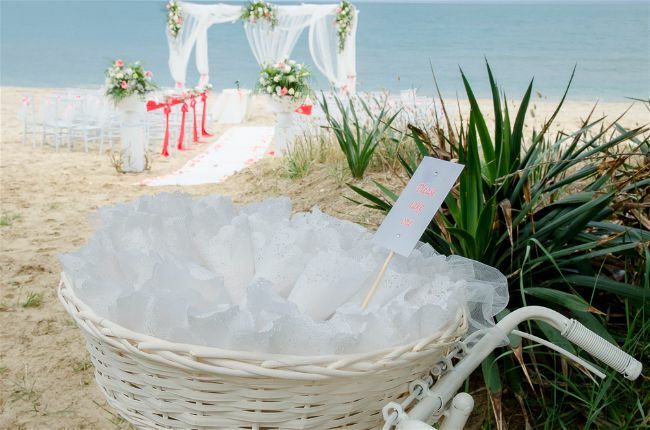 Located on the Adriatic Coast in the seaside resort of Pineto, Hotel Ambasciatori is an ideal choice for a beach wedding in Italy. 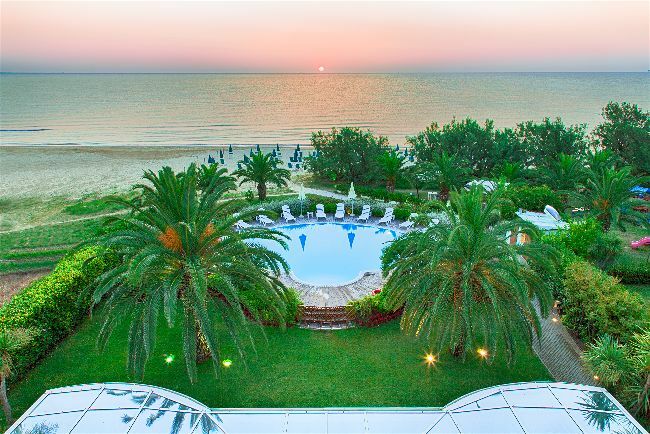 With the option to hold a legal civil ceremony on the hotel’s own private beach, alfresco dining, and a team committed to excellence, Hotel Ambasciatori is Italy’s hidden gem.